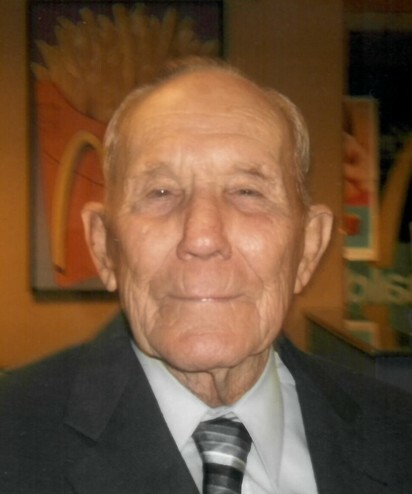 James T. Cannon, 88, of Altoona, Alabama died Sunday, March 24, 2019 at Gadsden Regional Medical Center. The funeral service will be Saturday, March 30, 2019 at 1:00 pm in the McRae Funeral Home Chapel. Burial will follow Bethel Methodist Cemetery in Warrior, Alabama. The family will receive friends on date of the service from 11:30 until the time of the service. Mr. Cannon is survived by his sons & daughters-in-law James & Shelia Cannon, Dennis & Pamela Cannon, and Greg & Anita Cannon; grandchildren Stephanie Cannon, Brandon Cannon, Jeremy Cannon, Portia, Brittany Sharp, Ashley Cannon; 10 great-grandchildren; brother Lynn Cannon; sister Annie Faucet and Blanche Cannon; and special friend Bonnie Wilbanks. He is preceded in death by wife Martha Sue Cannon.